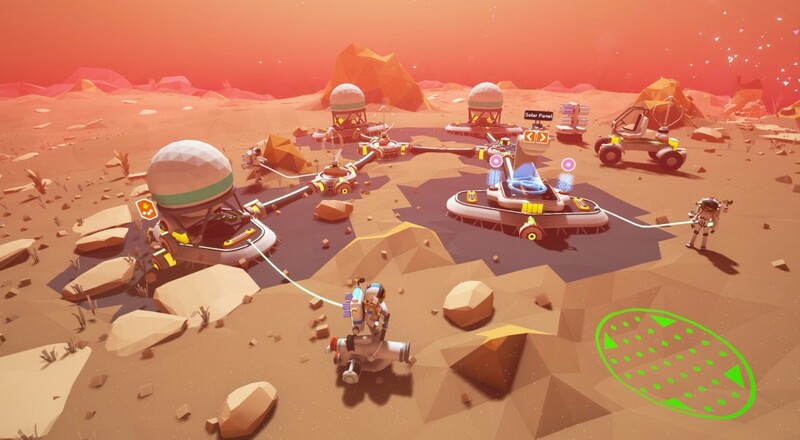 Explore new worlds, deform their terrain, and make your very own lunar lander in Astroneer, which is now available via Steam Early Access and Xbox Game Preview. I spent a little time this AM checking the game out and, so far, I'm liking it. As opposed to something like Starbound or a number of other crafting/exploration titles out there, Astroneer has a very laid back feel to it. The astronaut characters are all very charming, running around and reshaping the terrain as you see fit is always fun, and there's a good feeling of always having something to do without feeling the pressure. You can just casually build that space colony. The game supports drop-in/drop-out co-op in its main (and only) mode for up to four players online, and is being sold for $19.99 via Steam and the Microsoft Store.